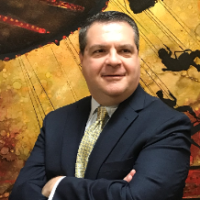 Mario Centola is the Vice President of International Operations and Business Development for Six Flags Entertainment where he leads the company’s international business development efforts. Prior to his current role, Mr. Centola spent over 20 years in a variety of strategic planning, finance, and accounting roles including serving as Chief Accounting Officer for the company. He has a vast array of experience in the entertainment industry previously working for SeaWorld Entertainment and Herschend Entertainment. Mr. Centola holds a B.S. degree in Finance from Miami University and a Masters degree in both Business Administration and Information Systems from The University of Akron.